Dean Ramos works with a variety of materials. 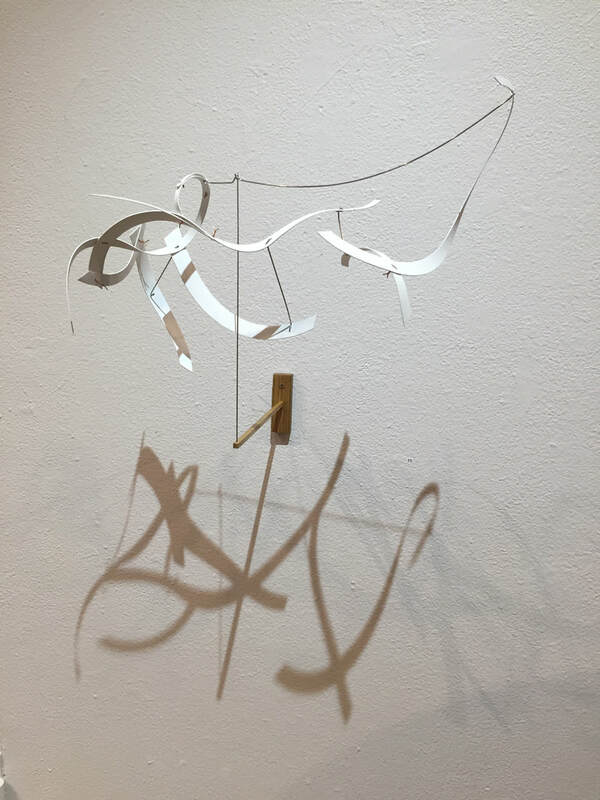 His Exhibit titled “Into” will include a variety of works; wood sculptures and more subtle abstract works that explore light and shadow, balance and movement. Ramos’ previously exhibited at Art Produce gallery in 2010 when he produced a collaborative installation with students that were in his class at MiraCosta College, and in 2016 he was included in the ‘Looking Back/Forward’ Art Produce retrospective. Dean Ramos was born and raised in Chicago, Illinois. He attended North Park University, a small liberal arts college in Chicago, and graduated with a B.A in Art in 1996. In 2002 he received his MFA from The University of New Mexico. He teaches full-time in the Art Department at MiraCosta College in Oceanside and resides and has an art studio in Vista, California. 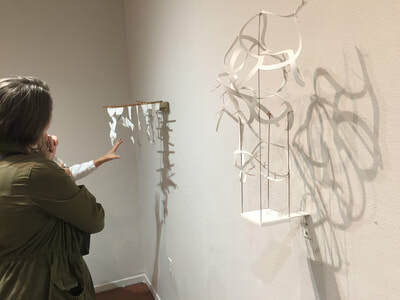 Ramos’ sculptures, paintings and works on paper may be found in the collections of museums including the Koumi-Machi Kougen Museum of Art in Koumi, Japan, the National Hispanic Cultural Center in Albuquerque, the Albuquerque Art Museum, the State Street Corporation in Boston, the ELCA Center in Chicago, and numerous private collections in the United States and in Japan. He is currently preparing for a two-person exhibition at the Shiga Kogen Roman Museum in Nagano, Japan, summer 2018.